To prove that I do not only drink expensive Single Malt whisky, you should know that brands like McClelland’s and others really can help me keep my spending down. McClelland’s Islay whisky is a single malt, and is a close relative to the prestigious Bowmore Single Malt whisky’s from Islay. How close? Well, you might say they share the same owner! Morrison Bowmore Distillers of Glasgow, Scotland. So you can be assured you are not purchasing some product that is not given someone’s full attention. I’ve enjoyed this McClelland’s back to back with the Bowmore 12 and it is obvious they are related, though the Bowmore is clearly superior. 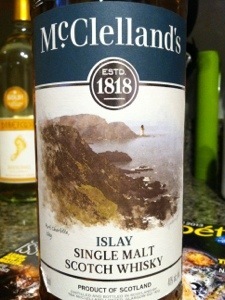 With that said, the McClelland’s is fully representative of an Islay “peated” scotch. At half the cost of Bowmore 12-year-old it is worth trying. 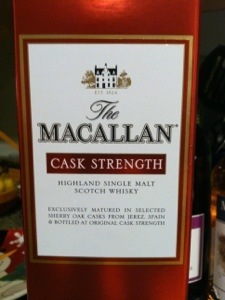 If you are into mixing scotch (with other inferior liquids) you would be well off working with this one. 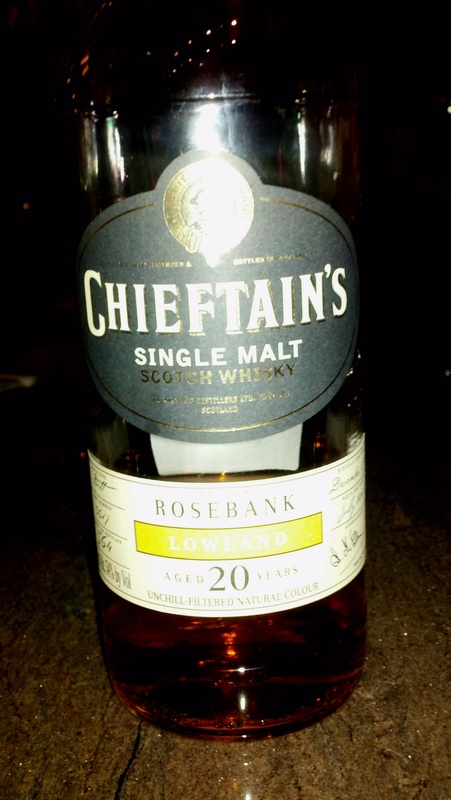 While I do not get the same enjoyment out of this dram as I would a Bowmore 12 year (or lesser aged ones) I do enjoy saving a little money and its hard to appreciate different Islay offerings if you do not have something to compare them to. This would make a great addition to a bar for when you have that scotch lover show up, he/she will definitely be surprised! Though the ABV% is 40, the Phenols are kickin! There is a wonderful oiliness on the palate also. This is a full mouth of Islay. 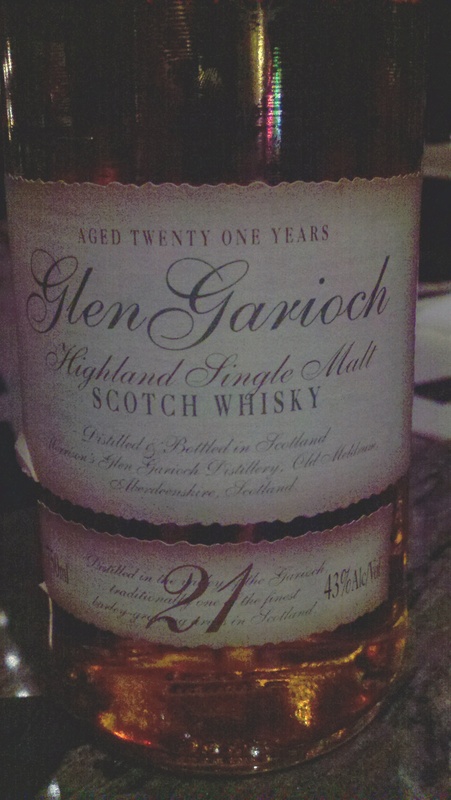 A powerful Islay aftertaste of sweet smoke with a hint of iodine. 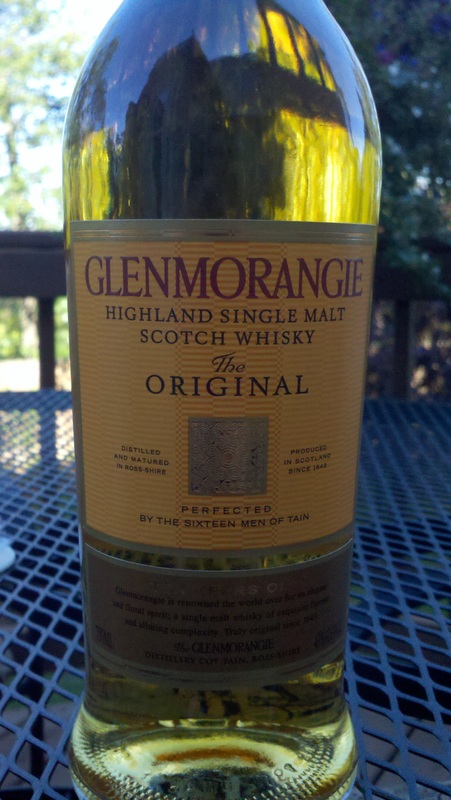 So two reasons why I’ve picked out the ever present Glenmorangie “The Original” to write about today. First, it is in most bars in America that offer a Scotch above JW Black Label and two, the ABC of VA has it on sale this month. The whole line up of Glenmorangie to me is a very pleasant and approachable Scotch whisky line. 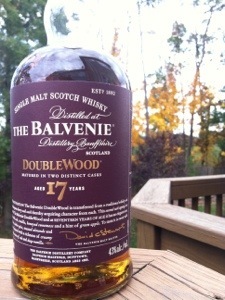 This may be the whisky you choose to drink and its a great one to try out on your non-scotch drinking buddies. The Original is ten years old and is a very mature one at that acting much like a twelve. 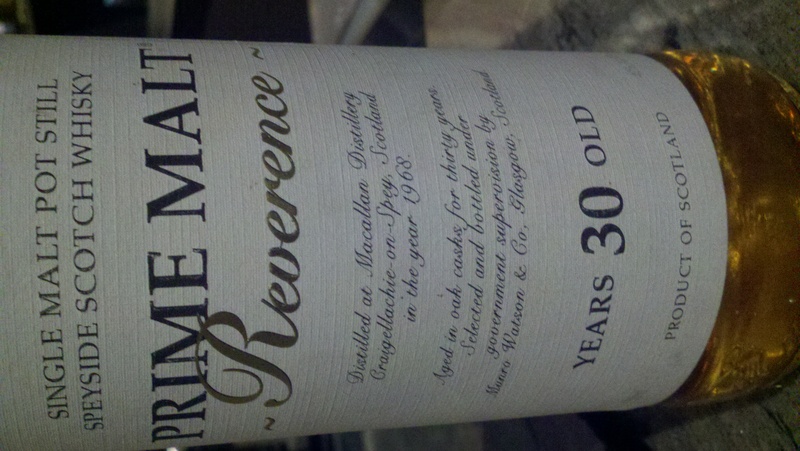 The only thing I think that is truly ten-year about it is its considerable alcohol “burn-off” when nosing it. 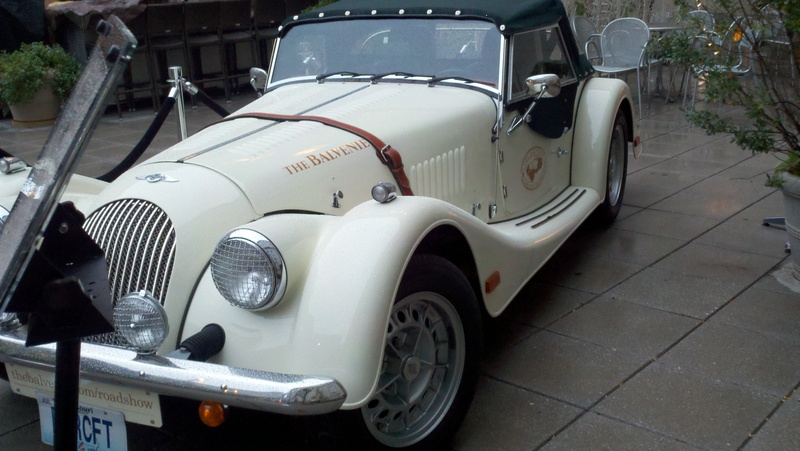 That being said, I do love the nose, it really jumps up and says here I am, I’m a good whisky. What I also enjoy about it is the mouth-feel. I really love an oily and viscous scotch and this one really delivers. 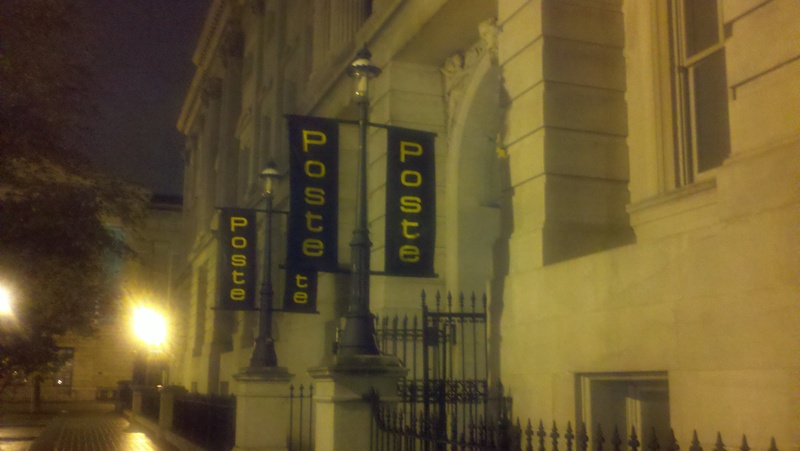 I’d love to pare this one with some seafood…. (damn, I just remembered I have some seafood I need to cook!). Oh well. The distiller notes/marketing content states that the Original has perfect balance and an alluring complexity. I won’t argue with that. It has an alcohol by volume rate of 43% and like I said earlier, it certainly lets you know on the nose and the first couple of sips. Then it seems more agreeable, and by the way, I do drink scotch neat, meaning without water or ice.